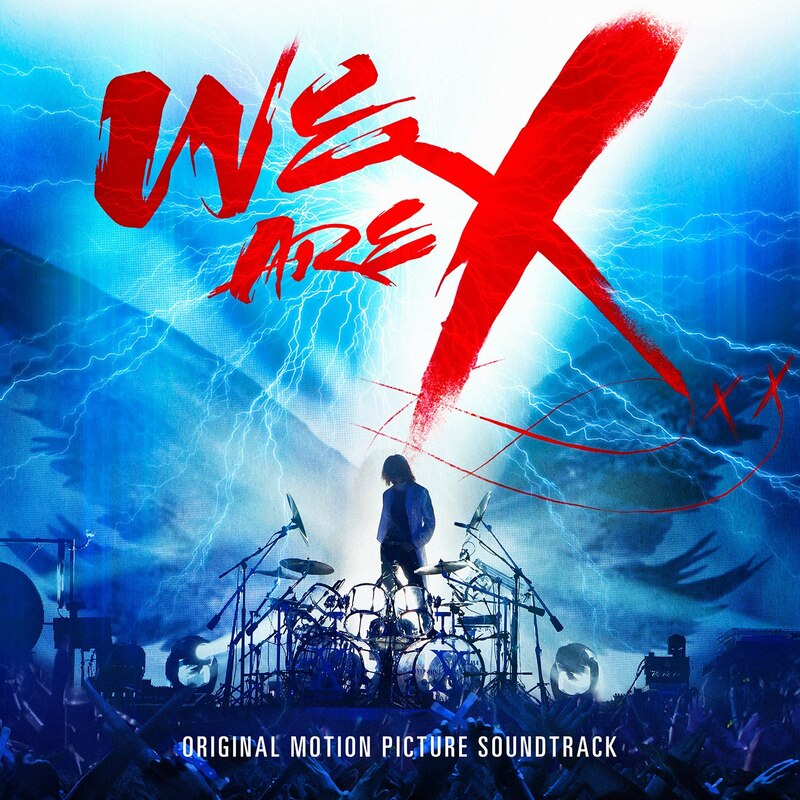 X JAPAN - "We Are X" Soundtrack Release Date Announced + #XDAY Rescheduled! | VKH Press – J-Rock & Visual Kei Coverage Worldwide! Home / News / Tours / X JAPAN / Yoshiki / X JAPAN - "We Are X" Soundtrack Release Date Announced + #XDAY Rescheduled! X JAPAN - "We Are X" Soundtrack Release Date Announced + #XDAY Rescheduled! The soundtrack for the film WE ARE X -- the critically acclaimed music documentary about X JAPAN -- will be released worldwide on March 3, 2017, via Sony Music’s Legacy Recordings and is available for pre-order now at Amazon. Hailed as “fascinating” by the New York Times, WE ARE X is a transcendent and beautifully shot rock & roll story about the most successful rock band in Japanese history, X JAPAN. They’ve sold over 30 million albums, singles and videos combined; sold out Japan’s 55,000-seat Tokyo Dome a record 18 times; and played to tens of thousands of fans outside of Japan. Under the enigmatic direction of YOSHIKI – composer, classically-trained pianist, drummer and the creative force behind the group – X JAPAN has captivated a wide range of admirers as the late Sir George Martin, KISS, Stan Lee, and the Japanese Emperor. All the while, pioneering a spectacle-driven style of rock music called visual kei. In late 2016, WE ARE X was released to theaters across America after winning multiple awards at the Sundance and SXSW Film Festivals. Directed by acclaimed documentarian Stephen Kijak (Stones in Exile, Scott Walker: 30 Century Man), and produced by the Oscar-winning production team behind Searching for Sugar Man, WE ARE X is an astonishingly intimate portrait of a deeply haunted – but truly unstoppable – virtuoso and the music that has enthralled legions of the world's most devoted fans. Up next, X JAPAN will perform their first major show of 2017 on #XDAY, Saturday, March 4 at SSE Arena, Wembley in London. Later in March, the WE ARE X film will premiere in London and officially open in theaters across the U.K. The film continues to expand internationally in new cities every week; and will arrive on Blu-Ray™, DVD and Digital HD on April 25 from Magnolia Home Entertainment under the Magnet label in the U.S., Bermuda and Bahamas.